Gaming accessories are tough to come by in India. And importing them usually costs a lot more than what my meager wallet can bear. 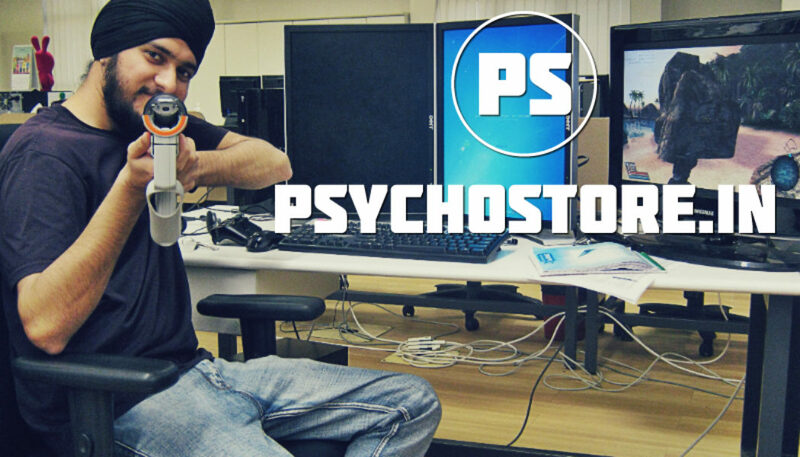 So when I first met Psycho Store’s founder, Ishkaran Singh, his idea for bringing in gaming merchandise and accessories to India excited me, especially so considering it wasn’t burning a hole in my wallet! A couple of months later, I had another chance to meet Ishkaran, but this time I had a pen and paper. Read on for his experiences in gaming and his steps to becoming a brand owner! Gaming Central: Can you tell us a bit about yourself? Ishkaran Singh: I still remember that time when I was in class 11th playing Prince Of Persia: Warrior within and at that moment I finally figured out what I wanted to be and that was a game programmer. Ever since then, almost all of my efforts were towards fulfilling that goal only. So I started programming in C++ and made some small 2D games during my B.Tech which eventually helped me in getting a job as a game programmer first at Ubisoft for 2.5 years and then at IIT Bombay for another 6 months, after which I quit everything and went full time in launching psychostore.in. Gaming Central: When did you get started with playing games (and what was the first game that you remember)? Ishkaran: Just like every other 90’s gamer kid, with Nintendo games on duplicate Chinese consoles, before switching to PC gaming. Road rash, I guess, was the first PC game I played and definitely Age Of Empires II: The Age of Kings was the game that took me by storm in the beginning. Gaming Central: How did you get started with Psychostore? Ishkaran: Well it was pretty naive of me, if I think now how I started off with it. So, I was working in Ubisoft as a game programmer, but I always felt the urge to create my own games and I had been working in C++ for some time then and I wanted some change as well in my programming environment. So I came up with this plan of creating a gaming merchandise site that would solve all my issues. First benefit was that I would get to learn a new language and work in web development. Secondly, I would get to create a gaming merchandise brand as all the merchandises available were outside India and getting them shipped here cost too much. 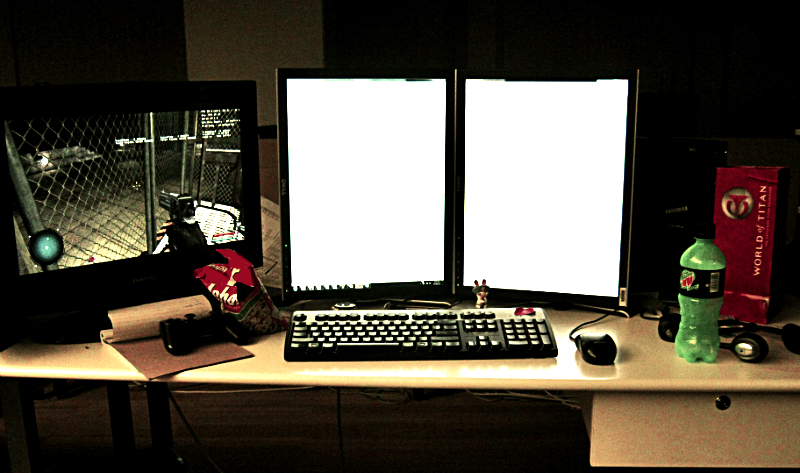 Thirdly, from my earnings from the store I could leave my job and finally start my own gaming studio. Just even telling you this makes me laugh now. By the way all those plans are still intact and under processing. 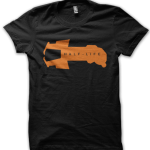 Gaming Central: If you weren’t a t-shirt designer/store owner you would be a…? 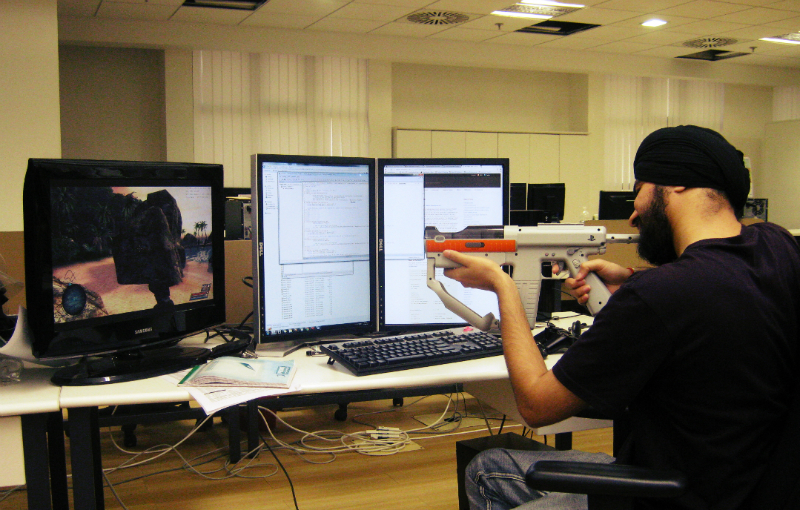 Ishkaran: Definitely a game developer. First and foremost I am a programmer or a creator you can say. That is my first love and will always be. I love the power that programming gives me, makes me feel like a god as I can create stuff that I can imagine about just by using basic ints and floats. Gaming Central: How did you come up with the design concept? Ishkaran: Well I don’t rush into finalizing the designs, maybe one day i will just get some idea about a design, i just keep that in my head and let it stew and eventually with more iterations over time it gets better and better. 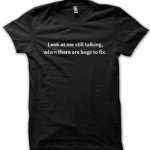 So i break that iterative loop only when i feel that i myself would buy that design if i saw it somewhere else. Mostly they are from the games and stuff that have a huge impact on me. Gaming Central: Why the name psychostore.in? Ishkaran: My screen name had been codinpsycho (without a ‘g’) for as long as I can remember, so using the word psycho just seemed natural to me. Definitely there wasn’t any market research or much thought put into naming it. Psychostore just came naturally to me. 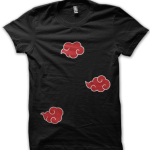 Gaming Central: What separates you from other online t-shirt stores? Ishkaran: Well for one, we don’t aim to be just an online t-shirt store. 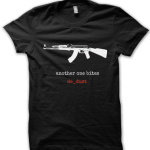 T-shirts are just one thing that we are starting off with. We have plans to get much more creative stuff and no i don’t mean mobile cases or laptop screens. We are talking about actual physical in-game stuff, imagine having Kunai knifes from naruto or tnt boxes or counter strike c4 bomb (not functional though). Also we will be working on hardware stuff also, like small but creative hardware projects, for eg, imagine a turret kind of gun, that has motion sensing and points the gun at whoever is moving around, small but creative stuff like these. So to answer your question i would say vision is what separates us from the rest. Gaming Central: What inspires you outside of gaming? Ishkaran: Apart from gaming and programming, I am a lot into dancing also, so that helps me a lot in clearing up the clutter in my mind. Also I love travelling especially bike rides into mountains. But the thing that helps me a lot is definitely reading. Dancing and travelling you can’t do that often, but reading you can do almost daily. So it lets you understand other people’s perspective and develops your imagination also. Gaming Central: What would your dream game be like? Ishkaran: Definitely a lot like Half-Life. I personally believe there is no game better than Half-Life 2. 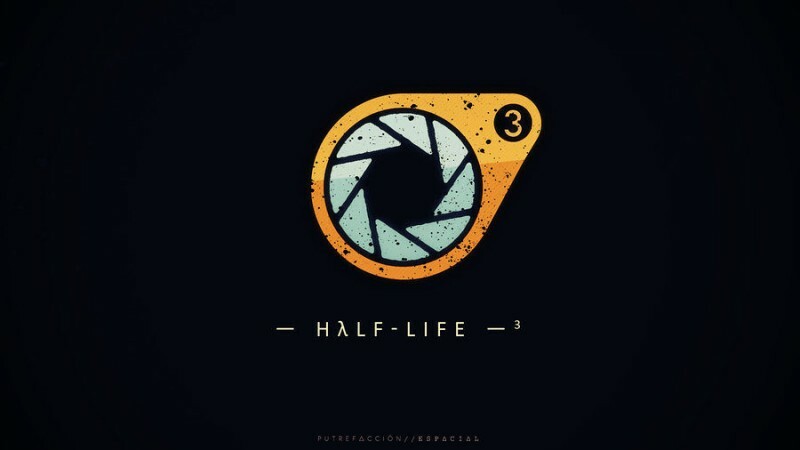 Oh yes, Half-Life 3 will be my dream game you can say. Gaming Central: Gameplay, Narrative, or Graphics? Which is the most important according to you? Ishkaran: I personally don’t focus much on graphics. For me graphics are like sugar coating, it is underneath what matters more. So definitely gameplay mixed with compelling storytelling and how the game progresses is what makes me love a game. Also the characters of a game should be memorable, they also have a huge impact on me. Gaming Central: Sci-fi, Mystery,Action, or Fantasy? What would you choose and why? Ishkaran: In gaming domain, I would say Action games. But if you go into movies or books then I would chose Mystery closely followed by Sci-fi. Gaming Central: How long does it take to make a design? Ishkaran: Honestly there is no fixed time for designs, some might just come instantly, like an epiphany and some take a lot of thinking and brainstorming. So can’t say a time period is there. Ishkaran: As of now, it’s just me, everything from programming to designing and promotions, I handle them myself. But I would definitely love to use some extra hands though. Gaming Central: Is there anything else you’d like to add? 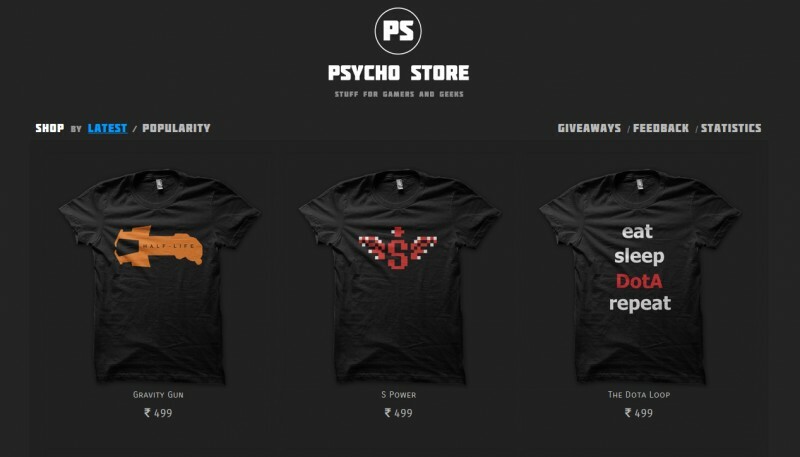 Ishkaran: Well, it was fun talking with you guys, be sure to check out some t-Shirts at Psycho Store! 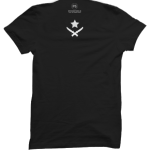 Psycho Store is making some amazing t-Shirt designs, for both gamers and non gamers alike. Check out their store, you’re bound to find something to your liking! And for more interviews, gaming news and reviews, keep checking back at Gaming Central.